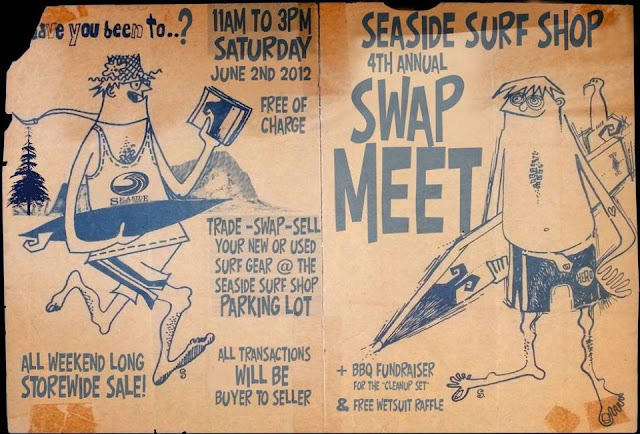 An opportunity to buy & sell some surfy stuff, the 4th annual Seaside Surf Shop 'Swap Meet' is scheduled to take place on Saturday, June 2nd from 11am-3pm. Plate lunch is just $5 and it sounds like everything in their shop will be on sale. So if you're surfing near Seaside, stop by and score something salty!